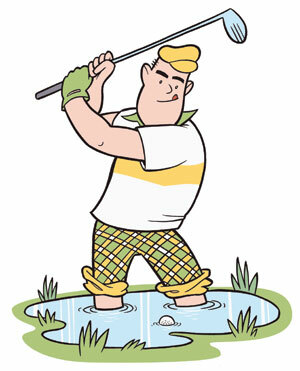 With the Winter Olympics gearing up tonight, golf is probably the last sport on people's minds. But take heart: the snow will eventually melt, and soon you'll be traveling all around the Minnesota and Western Wisconsin region, wondering which golf course to check out. 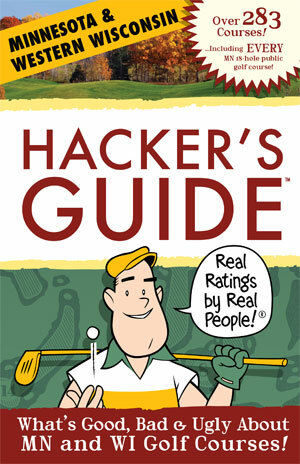 That's where Bruce Stasch and his popular Hacker's Guide comes in. He's introducing a fat new addition to the Hacker's Guide series, and Zander and I designed the cover and the illustrations. Here are a few art samples, but check out the book for more. And consider PREORDERING a copy -- it's the perfect book to keep in your car along with your Hudson Map and the first Hacker's Guide. 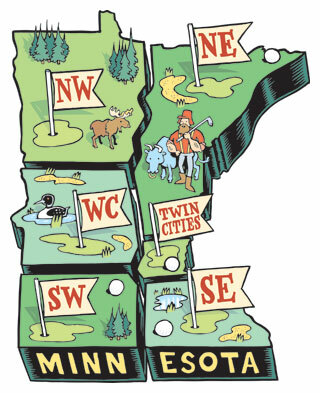 i love the map of minnesota. great work! Steinlicht Book Signing This Saturday! Happy 7th Birthday, Cartoonist Conspiracy!